The traditional and modern are interlaced in this island of Taiwan. Foreigners will be treated to both Chinese and International customs perfectly melded together as one solid culture. You could be sitting atop an office building gazing down the street, lit with lanterns, eating Dan zai noodles in an oversized Starbucks cup. Expats who charged through the language barrier by actually learning Mandarin, will have another world opened to them. Heading off to the East? Well have a look at our guide before you set off. The Community Services Center is an information resource for all the practical information about living in Taipei. If you have a question, stop by The Center or give us a call. Address: No. 25, Lane 290 Zhong Shan North Rd., Sec. 6 Taipei, Taiwan R.O.C. Founded in 1984 with a membership of 12 women, the International Women's Association of Taichung is a non-profit, volunteer organization, which meets on a regular basis to assist local charities, provide community services and share information about Taichung with its members. This is an English-language site that covers regional news and events. The Taipei Times launched on June 15, 1999, with the mission of presenting a voice long absent in the Taiwanese media: an English-language journal of record for national and international readers, presented from a Taiwanese perspective. Electricity: Taiwan runs on 110V 60Hz. Electricity is provided by state-owned Taiwan Power Company. Citizens from the following countries may enter and stay in Taiwan visa free for up to 90 days: EU, Andorra, Australia, Canada, Israel, Japan, South Korea, Malaysia, Monaco, New Zealand, San Marino, Shingapore, US, and the Vatican. Other nationals will have to either apply visa-free entry through travel authority portal, or secure a visa through a Taiwanese embassy or consulate. The Visitor Visa duration can vary between 30 or 90 days depending on the passport held by the traveller. For longer stays, expats would have to obtain a Resident Visa. This type of visa comes in different categories including investment, white-collar workers, and students, among others. Applications are coursed through a Taiwanese embassy or consulate where the expat resides. Expats who have entered Taiwan under a visitor visa must exit the country first before applying for a Resident Visa. Apartments are the most common form of accommodation in Taiwan. Expat’s searching for apartments will likely find it challenging especially if they do not speak the local language. Foreigners in search of housing are advised to at least have a bi-lingual colleague who can mediate between Mandarin speaking landlords or owners and themselves. There are real estate agents who speak English; going through one does cut the search short and facilitate all the necessary legalities, however at a price. Rental contracts run for a year, some are short term depending on the agreement with the landlord. It’s also common for landlords to require a Taiwanese guarantor. A deposit is usually 1 or 2 months’ rent, and refundable. Expats tenants should make sure the terms of the rent are clear; there are times when the rent will not cover the maintenance or garbage disposal, utilities such as water and electricity. These have to be clearly stipulated in the contract. Foreigners moving to Taiwan take to the capital Taipei. This is a bustling, energetic city that embraces both the East and West; on your left is a Buddhist temple, and on your right a megalithic skyscraper. Taipei is home to many commercial establishments, especially restaurants; expats will not want for more in this part of Taiwan. Apartment rental in Taipei is expensive however. Apartment space is also minimal; tenants wanting larger, more spacious units will have to pay premium price. Three bedroom apartments start at $1,400 per month, in central areas of Taipei. But expanding search from the city center, expats will likely to find an affordable yet spacious accommodations. The area of Da’An is home to families especially expats. This is convenient location; it’s close to business offices and commercial buildings, and the Da’An Forest Park keeps everyone in natural tip-top shape. Zhongzheng and Songshan are other neighborhoods good for families. They’re quiet areas with older yet bigger apartments. Another district is Dazhi, with bike paths, parks and other amenities close to the residential buildings. Depending on the country of origin, an expat’s domestic/foreign license can be used to drive legally in Taiwan for up to 30 days. And international driving license can be used for up to a year. After that expats must get a Taiwanese license or exchange it for a Chinese license. This can be done through the Motor Vehicles Office. Nationals from countries with reciprocity with Taiwan only need to fill up the form and provide the documents needed to exchange the license; others will have to take a written and practical exam. A health exam is needed also. Original and copy of domestic or international license. This should’ve been authenticated by the consulate. Services and facilities in Taiwan are affordable, especially for legal residents. Expats who have already obtained their Alien Resident Certificate can enroll for the National Health Insurance NHI. Once enrolled, expats now has access to public health system. The care in this system is adequate, however lines are long and doctors are overworked. The language barrier can also pose a problem. There are ‘Special Clinics’ set up for non-Chinese speaking expats, however NHI does not cover this, so expats end up paying or securing a private health insurance. This is the government-run insurance system that’s available for both citizens and residents of Taiwan. Allianz Taiwan Life sells a comprehensive range of unit-link savings and protection life insurance products. 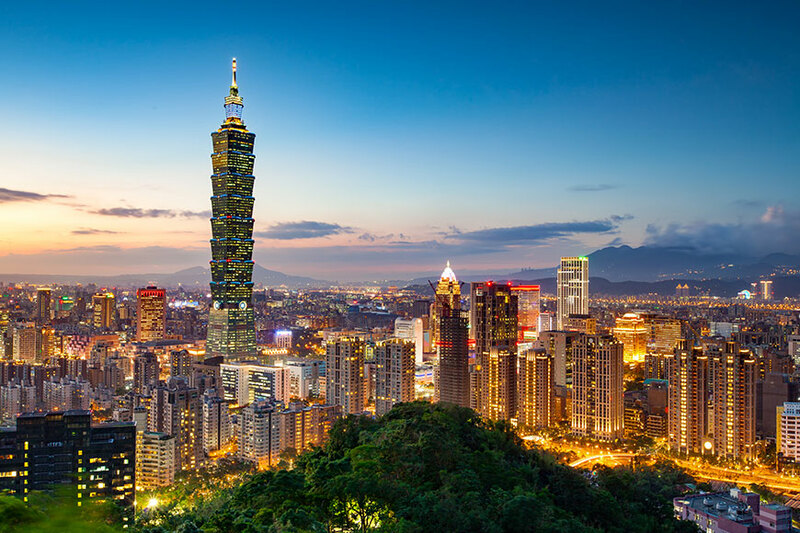 Allianz Taiwan Life is represented in all major cities and towns in Taiwan and is committed to winning the trust of customers, the pride of employees and the satisfaction of shareholders. The hospital was founded in 1958. It offers a range of services including pediatrics, dermatology, family medicine, cancer center, surgery and others. Address: No.201, Sec. 2, Shipai Rd., Beitou District, Taipei City, Taiwan 11217, R.O.C. The first Tzu Chi General Hospital was inaugurated on August 17, 1986 and persist the life-respect principles, practicing medical care of patient-orientation in the eastern Taiwan. Because of enhanced medical quality and service quantity, Tzu Chi General Hospital has become the institution where people transfer the severely ill patients. In May, 1995, Tzu Chi General Hospital was promoted to be the first medical center in eastern Taiwan and received the ISO 9002 certification in March, 2000. This hospital offers services in Gastroenterology, Cardiology, Nephrology, Hematology and Oncology and many more. National Taiwan University Hospital (NTUH) was founded in 1895. It was initially located at Dadaocheng, Taipei, and then was relocated to the present site in 1898 (now known as the West Campus). Mackay Memorial Hospital was founded on the basis of Jesus’universal love. The central focus of the hospital is Total Healing addressing not only the patients’ physical and emotional needs but also their spiritual needs. The Pastoral Care Department consists of a group of ministers who have had theological, psychological, and counseling training. Assisting the staff in medical care with a Christian spirit. Being concerned about patients’ total healing. Showing solicitude toward the faith and life of the hospital staff. Promoting a closer relationship between the hospital and the church. There are 44 departments in FEMH including Cardiovascular Center, Internal Medicine Department, Surgery Department, Obstetrics & Gynecology Department, Pediatrics Department, and other medical departments. In terms of medical units, Clinicopathologic Department, Tissue Pathology Department, Medical Imaging Department, Nuclear Medicine Department, Nursing Department, Pharmacy and Dietary Department providing comprehensive medical services. In terms of equipment, modern instruments, for example, Dual Source CT, chemo Therapy, and Flex Scanner, have been imported in recent years to help upgrade diagnosis and therapy result. FEMH floor space measures 67,206㎡, 1,096 beds are equipped for service, 4,000 outpatients visit in a day, and around 400 patients are treated each day in the emergency room that is ranked second place nationwide with a hospital bed occupation rate of over 85% documented. FEMH provides quality medical service to the residents of Taipei Metropolitan area with a comprehensive medical team and advanced medical equipment.